The capital city of Malta, Valletta, is home to some of the most interesting history that has ever occurred. Once of the busiest and trendiest spots in Malta shows off its beauty with both its ancient history and its ongoing tourist scene. From cultural landmarks to small cafés, from looming palazzos, auberges, and sprawling squares, to tiny narrow streets - there is hardly a boring moment that can be spent in this city. Once home to many historical battles, now thriving with attractions, shops, restaurants, bars, Valletta has many reasons why it has become known as one of the most cultural cities in the world. Some of the locals simply walk around the city just to explore the heritage that lives on in the city itself - and of course, visitors to Valletta spend most of the time meanadering through the city streets, loosing themselves in the sights and sounds of "is-City" or "il-Belt". "Is-City" is how most of the people proudly living in Valletta refer to their hometown, while "il-Belt" is how most Maltese refer to Valletta, which is simply a literal translation of city to Maltese. The capital city of Malta, is less than a kilometer squared in terms of area, but it truly packs a punch when it comes to culture, attractions and things to do! So much so, that we actually had to write a seperate article of the 9 Things you MUST do in Valletta - which you really need to check out! But of course, if you're planning to stay at Valletta on your holidays in Malta, Choice can point you in the right direction for most of the needs you might have, before you get to the city, and of course, while you are actually there. While you are on your holiday to Malta, you might want to squeeze in as much activitities as possible into the few days you are here. But it's without a shadow of a doubt that we say this, you cannot explore, enjoy and "live" the city unless you spend a few days exploring it without too must haste. Exploring all of the different streets, all with their own unique character, is a throughly great experience - just meandering in the long streets along the length of Valletta, looking up at the buildings, seeking out the faces of city (stone face carvings in the buildings, particularly visible in Merchant's street, but plenty of them adorn buildings), admiring the long rows of traditional Maltese balconies. The nights in the city have also become full of life, as the nightlife has picked up in the last few years. You'll find that most bars and restaurants will have plenty of tables for eating outdoors, but that's only just the start. Quite a few bars have taken entertainment to the next level. Cafe Society screens a movie every Thursday evening in Summer, with people just sitting on cushions on the stairs. Same goes for the Bridge Bar Jazz Sessions, where people flock to this bar every Friday evening from May to September. 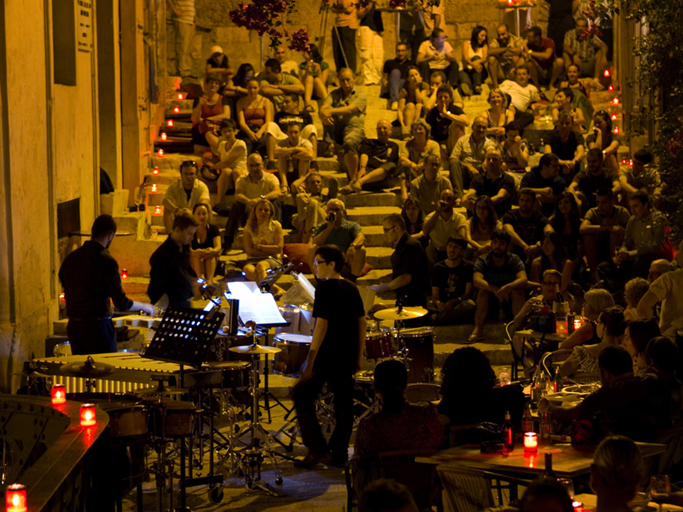 You'll find some of the top Maltese and foreign jazz artists performing live to an absolutely great atmosphere. Such events as the Valletta Film Festival also screen artistic movies in various locations. Even if there are no specific events, the nightlife in the city is something which you just have to experience. Before actually visiting the city, make sure to check about what events are being held in that particular period, or even better, plan the dates of your holiday around the ones which you shouldn't miss. There is plenty of history that comes from the city of Valletta and Malta itself. There are years of culture and history that build Valletta all the way from the megalithic monuments which are speculated to be the oldest known buildings until the mid 16th century when the Order of Saint John had taken power. From then on, the French and then shortly after the British had established government in Malta. It was after World War II that Malta had been named its own State of Malta and then later Republic of Malta. Though quite a bit of Valletta was damaged in World War II, the city remains radiantly cultural to tourists and locals alike. So much so that it has been named one of the European Capitals of Culture in 2018. From the lively cultural scene that Valletta offers, walking around the city is a common activity for many individuals. Unlike a few years back, when there was precious little accomodations worth visiting in the capital city, today, many boutique hotels and accomodations are available for those wishing to venture to this colourful island full of life and heritage. We definetely recommend taking a tour of the city if you're in a rush (and even if you're not). Besides plenty of commercial tours, you could also opt to take a free walking tour of Valletta by Colour My Travel. Property Location Located in Valletta, Grand Harbour Hotel is minutes from St. John’s Co - Cathedral and Upper Barrakka Gardens. This hotel is within close proximity of Lascaris War Rooms and Saluting Battery. The recently renovated Osborne Hotel is located in the heart of Malta’s capital city, Valletta, a stone throw away from the major sites of the UNESCO heritage site and a stone throw away from the city’s Shopping centres, shops, cinemas, museums, palaces, the Upper and Lower Barrakka Gardens, Hastings Gardens, plus the Bus Terminus are all walking distance from the hotel. With a stay at 19 Rooms, you'll be centrally located in Valletta, steps from St. Paul's Anglican Church and Manoel Theatre. This hotel is within close proximity of Carmelite Church and Malta 5D. The British is the longest established family run Hotel in Valletta. This hotel is located in the Capital city of Malta, Valletta and is located in one of the city's quaint terraced streets. This affordable Hotel is a family-owned-and-run .The British was one of the first hotels situated in Valletta, the Capital City of Malta, The City which was initiated in the mid sixteenth century and, ‘was built by gentlemen for gentlemen''. Featuring a prime position on the doorstep of Valletta, a Unesco World Heritage Site, this upscale establishment offers the ideal base from which to explore all the major attractions, culture and historical architectural treasures this beautiful region has to offer. With a stay at Palazzo Jean Parisot Boutique Suites in Valletta, you'll be minutes from Merchant Street Market and Mediterranean Conference Centre. This apartment is within close proximity of Armoury and Grand Masters Palace. A stay at Hotel Phoenicia Malta places you in the heart of Valletta, walking distance from Hastings Gardens and Royal Opera House. This 5-star hotel is within close proximity of Our Lady of Victories Church and St James' Cavalier. Hotel was completely refurbished in 2017 and includes 20 modern rooms with an industrial yet luxurious vibe. The Saint John is located in the centre of Valletta, Malta's grand capital city and provides the ideal base for exploring the surrounding sites, museums, palaces and gardens. With a stay at 66 Saint Pauls, you'll be centrally located in Valletta, steps from Upper Barrakka Gardens and Auberge de Castille. This hotel is within close proximity of St James' Cavalier and Our Lady of Victories Church. With a stay at Valletta Boutique Living Premium Apts in Valletta, you'll be minutes from St. Paul's Anglican Church and Carmelite Church. This apartment is within close proximity of Sliema Ferry and Manoel Theatre. Valletta Boutique Living Standard Apts offers accommodations throughout the area in Valletta. With a stay at the British suites, you'll be minutes from St. Johns Co - Cathedral and Mediterranean Conference Centre. This property is within close proximity of Grand Masters Palace and St George Square. Valletta, being the capital of Malta, holds a vibrant nightlife that attracts tourists from all over the world. From serene dining experiences to lively bars, there are a variety of options when having a night out in Valletta. Malta has few traditional British pubs scattered around, such as the popular bar simply named The Pub. This one is one of the most popular in Valletta. One of the reasons for this is that it was the pub of "Oli's last drink" - the spot where famous actor Oliver Reed had his last drink, before he collapsed and passed away, during the filming of the blockbuster Gladiator, most of which took place in Malta. 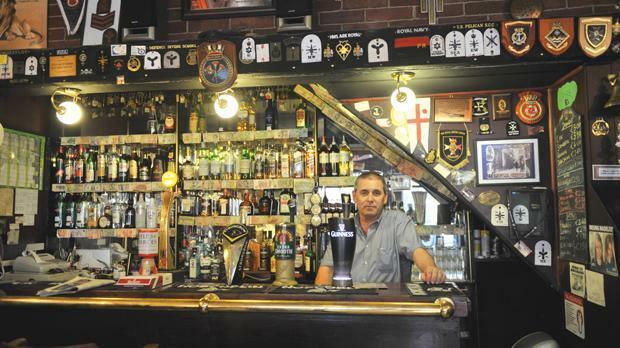 The Pub has been voted as 5th Most Legendary Pubs in the World and is a true English-style pub which sees plenty of Maltese, expats and foreigners flocking here, to grab a pint, and scribble a tribute to Oli on the wall's of this legendary drinking spot. Valletta also has several cozy wine bars such as Trabuxu, but this is definety a must-visit. 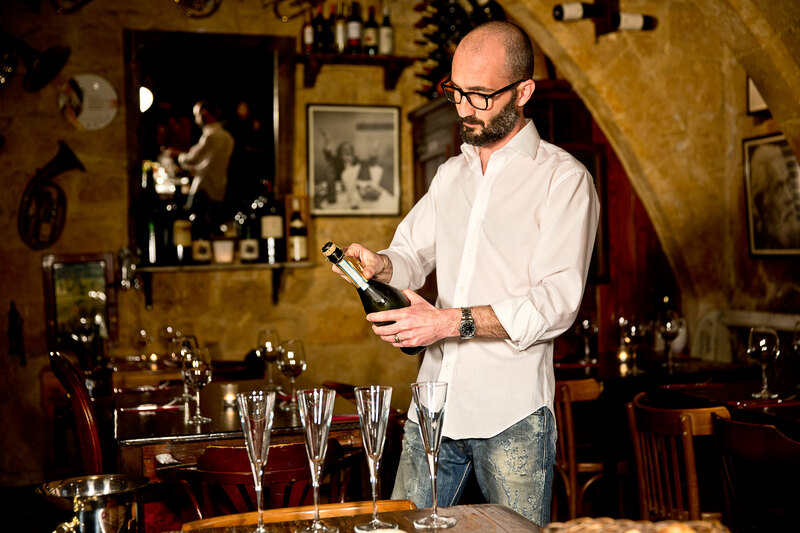 Trabuxu is actually the maltese word for corkscrew, but Kris's penchant for high standards, great wines, french cheeses and salumi, the friendly staff and ambience make this place one of the very best in Valletta. 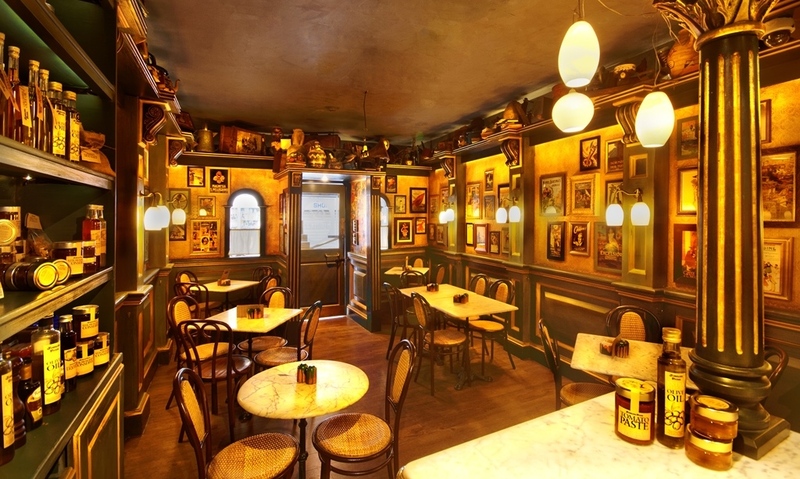 Whether staying in the cosy interior or just grab a stool on a barrel or a cushion in the street, this is a great place to chill. Pre-booking is recommended as this spot gets pretty busy. 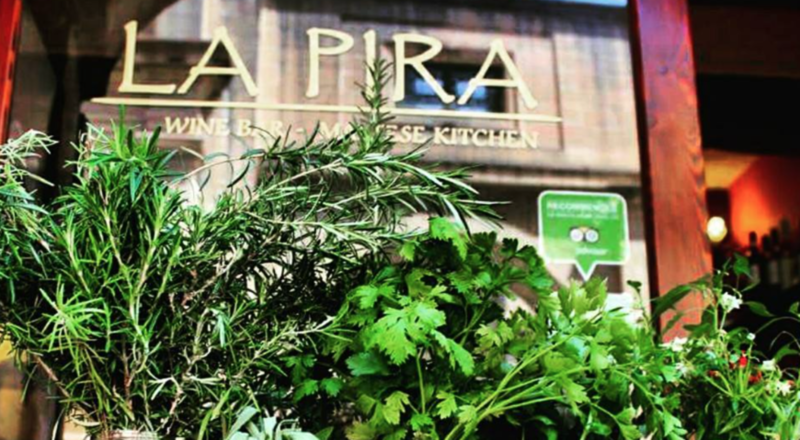 LaPira serves many traditional Maltese dishes for even more of a taste of the Maltese culture. Given it's location in Merchant's street, with plenty of tables outside, this is a great place for having lunch whilst people-watching. Makes a mean rabbit stew if you're on the lookout for that. This recently opened gem of a place is right at the corner of Pjazza Regina. Named after the road where it is located (King's Way), the name by which Republic Street used to be known up to when Malta became a republic, this is a modern, stylish bar. 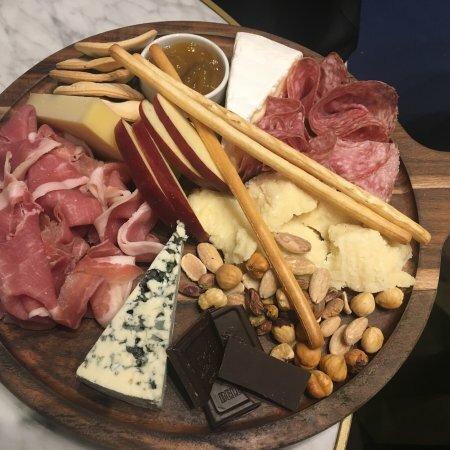 While it does serve a great Maltese platter, its cheese platter is to die for, served with nuts, walnuts and pieces of dark choclate and a delicious chutner. Besides that of course, are the great drinks, so get yourself a gin and tonic. Friday's and Saturday evenings, Kingsway is the place to be for the local in crowd, of 30-somethings. This café is well known by the locals and also provides vegan options. It is quite cozy though it can be busy at times. Great place to hangout with friends during summer nights. This tiny sandwich shop is known as a little gem in Valletta. The sandwiches are cheap yet delicious. So delicious that the shop usually has some wait time. We've already mentioned Bridge Bar and it's Jazz sessions in the summer months - a must-not miss! But there are other places you can get your dose of Jazz music, such as Django. The sign above this bar reads “Borg’s Bakers” rather than the actual name of the bar for heritage preservation. Other than that, this high-spirited jazz bar offers a music venue for local jazz musicians to share their creativity with the customers. This cafe actually was founded by a couple of Gozitan brothers initially in Victoria Gozo, eventually opening also in Valletta and Gzira. The company also prepares a number of traditional Maltese foods which are available for sale across specialized outlets in the Maltese islands which are essentially, the dishes which they serve at the shop, but available for buying and cooking at home. The resounding success of the chain on the Maltese islands, actually led them to open an International Division which franchises the experience of the Cafe Jubilee outlets. But it's the divine dishes which you have to experience. Nanna's Raviloli with grouper, pasta with Gozitan goat's cheese, the Maltese ftira, and the mouth-watering pies - a must do in Valletta. "Is-suq" or the market, is a traditional closed market which up to a few years ago was a run-down stinky place has over the last few years been renovated and reopened as one of the places you just have to go. 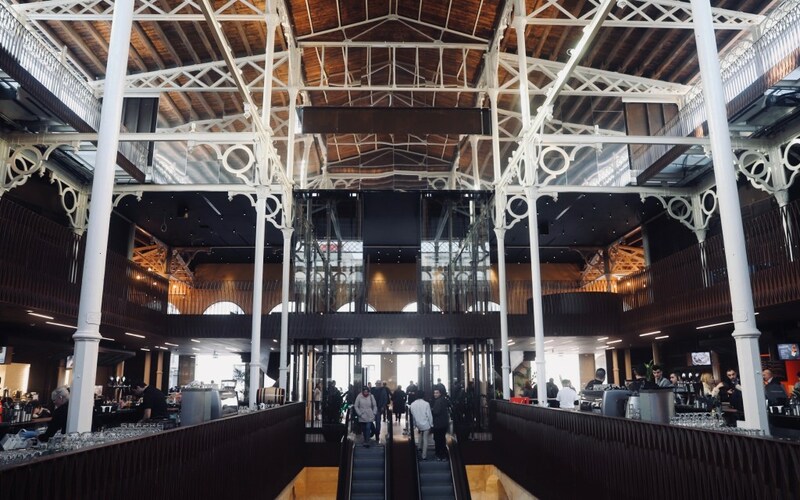 Reminiscent of Covent Garden's indoor market and also similar to a number of food markets you'll find in a number of European cities, "Is-suq" now features a number of traditional and not so traditional places to eat. Simply walk around and select which outlet you want to eat from, grab a table and just wait for your "buzzer" to pick up your food. Since Valletta is such a popular destination, getting there is easy given many different options available such as taxis. The trip from the Malta International Airport to Valletta is just around 10km away. There are several options that one can take to get there, such as the busses. The fare for buses costs €1.50 in winter, €2.00 is summer, and €3.00 for the night service if you buy cash tickets. Prepaid cards are usually cheaper in the long-run, so if you're planning to do some travelling by bus, you might want to check out the cards available on the Public Transport website. Alternatively, there are other transportation options available to the public. There are taxi services available. Commonly seen white cabs are available at the airport to go directly to Valletta, though they may become busy during the daytime. Other taxi services include eCabs and Taxify. These taxi services are all quite pricier than busses, though they are generally much faster. They are also available for pre-booking to avoid wait times. You can also get to Valletta by private car (if you have hired one), though finding parking in the summer may be quite difficult, especially with traffic wardens on the watch constantly. It is recommended to find a paid parking area or to have parking accommodations at your hotel to avoid taking the time to find an empty parking spot. Valletta is the main public transport hub, so getting in and out of Valletta to anywhere in Malta is very easy, just hop on any bus with destination Valletta and you'll find yourself there. Most cities are then connected (to) from Valletta, usually directly or via other routes. Seeing Valletta from the sea is a particularly fine experience in itself and an excellent photo opportunity. If you're staying in Sliema, there is a ferry which crosses from Sliema to Valleta and vice-versa, leaving from the Ferries in Sliema and landing in the Marsamxett area of Valetta where you can walk to the city centre. This is a great trip because it offers fantastic views of the iconic Valletta skyline. The price of the ferry starts at €1.50 for a single-way ride. You can also catch a Harbour Cruises by Captain Morgan, which actually takes you around all of Valletta, also going to the Grand Harbour and into the ports of the three cities, which is also great for enjoying the majestic bastions and fortifications built around the city. From the Three Cities you can also get a traditional Maltese rowing boat to cross the harbour, which is also a great experience in itself, you can either chose the rowing boat or the small motorized boat, both of which are great. In addition, many tourist services will offer transportation straight to your hotel. Public transportation is well connected within the area also. There are many landmarks within the historical city of Valletta. The challenge is seeing all of them. In addition to the ancient buildings that add to the historical attraction of Valletta, festivals and parades occur all the time. The variety of sights that Valletta offers is part of what makes it a popular tourist area. Like other places in Malta, Valletta holds a lot of churches that are often visited and seen for cultural purposes. Valletta is also home to several other various sightseeing landmarks. The entrance to the city from the Grand Harbour area. Once the most populated area of Malta after its completion in 1885. 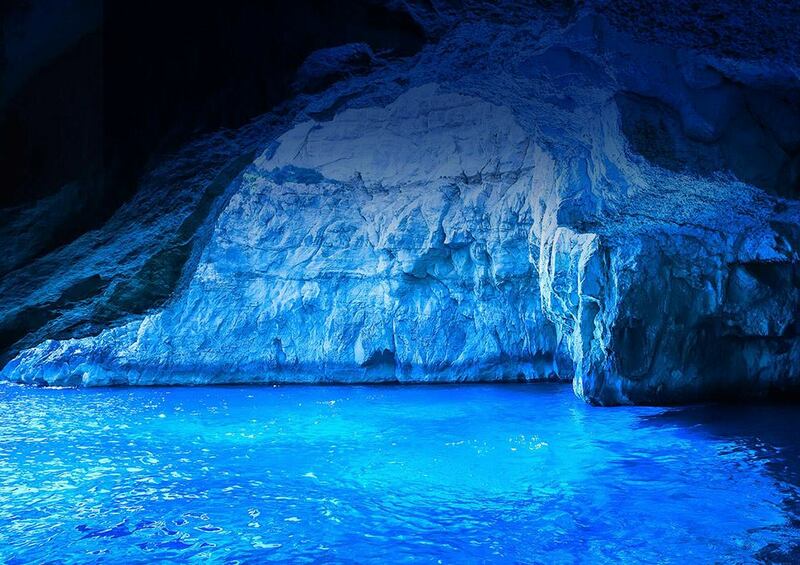 In the past, one of the most prominent spots of Malta. 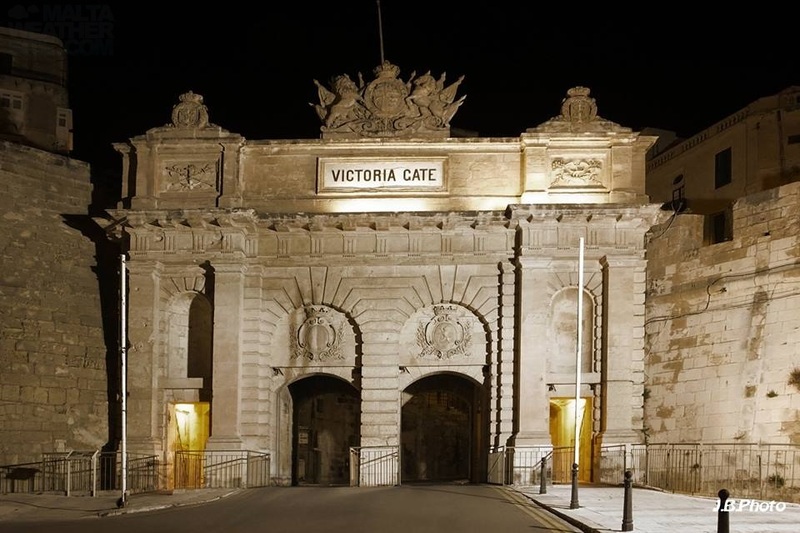 The Victoria Gate is the entrance into the city from the Grand Harbour area. Nowadays the spot is not as populated though carries just as much value from history. As you enter into Valletta, there is some information you may want to know beforehand. Once church for the Knights of St. John, the St. John’s Co-Cathedral is now a popular museum which tourists often visit. Handheld audio guides are also available in several different languages such as German, Russian, and Spanish. Also known as the Lascaris War Rooms, these tunnels and hideout rooms were used during the battles between 1940 and 1943 during World War II. These rooms are now available to be toured through. This lift is an extremely efficient way to get from Lascaris Wharf on the bottom right into the heart of Valletta. The lift features the Upper and Lower Barrakka Gardens situated on both the top and bottom of the lift. This historic street was once flourishing with soldiers of all nationalities. This street is famous for all of the cultural mingling that has occurred throughout history. The street had also seen a rise in jazz music, where live shows were commonly played. This palace served as the seat of the Grand Master of Knights of St. John and later an armory during the 17th and 18th centuries. Once the British colonial period came about, it was used as the Governor’s Palace. As somebody who is looking to visit, here's are some common questions you might have. Should I stay here as part of my holiday? Yes, if you enjoy staying in a "busy" area - especially in summer and other peak holiday seasons. The location is very well connected and popular with tourist operators so you're bound to find all you need as a visitor. Is it safe? Malta has few if any no-go areas which are not safe. The crime rate is very low and generally speaking the country remains one of the safest, but it's never a bad idea to keep an eye out for your and your companions' safety. If you find yourself in an area or situation which looks and feel dodgy, get yourself to more popular areas quickly. Can I find free Wi-Fi? As with most places you'll find that most bars, restaurants and cafes offer free connectivity. The Maltese government also has a program of providing free Wi-FI in squares and public gardens - so look out for MCA Free Wifi to get connected for free. Can I eat cheaply? Absolutely, if you go to the right places. There are ways and means of shopping around for the right prices. Visiting any of the small kiosks, pizza stands and other such food stalls should result in a good bargain and any very local eatery will provide snacks and food cheaply (and yes, it is very safe to eat there, despite the fact that they might look grubby). Alternatively, you can do some shopping are grocery stores or supermarkets such as.